Check out this excellent piece from First Things, entitled Demographics and Depression by David P. Goldman. Way to go, child-laden young families... it seems the economy depends on us. Our present financial crisis is a result of too many small families with few children and too many single-parent families. Our Creator's plan for human life and love turns out to be the only way to sustain a society economically. Imagine that. Life is sacred for its own sake. It is not an instrument to provide us with fatter IRAs or better real-estate values. But it is fair to point out that wealth depends ultimately on the natural order of human life. Failing to rear a new generation in sufficient numbers to replace the present one violates that order, and it has consequences for wealth, among many other things. Americans who rejected the mild yoke of family responsibility in pursuit of atavistic enjoyment will find at last that this is not to be theirs, either. ...The problem is that the families with children who need to spend never were formed in sufficient numbers to sustain growth. It was always morally wrong for conservatives to attempt to segregate the emotionally charged issues of public morals from the conservative growth agenda. We know now that it was also incompetent from a purely economic point of view. 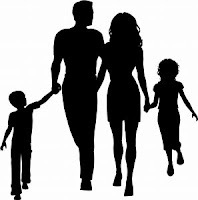 Without life, there is no wealth; without families, there is no economic future. The value of future income streams traded in capital markets will fall in accordance with our impoverished demography. We cannot pursue the acquisition of wealth and the provision of upward mobility except through the reconquest of the American polity on behalf of the American family. I am taking this as a bit of a sign that I need to disconnect! I hope to make it through the summer as an analog homeschool mom, and spend some time thinking and praying about what role, if any, all of this technology should play in my life, and the life of my children. I have seen benefits (no temptation to check email) and also downsides (no pictures of first haircut, no google maps for directions). I do know one thing, though, if I am going to make a major investment in technology all at once I am going to make sure that it is integrated. A really sweet laptop could replace almost all of the above devices, since our TV just happens to have a computer port. Running without music has been interesting, I have started to enjoy it now that the weather is nice, but it is hard to get out on gray days with no music. I have also stopped using my husband's fancy watch, so I don't know my pace or splits of any kind, I just go for a run around the neighborhood and come home when I feel tired. This is not a good training plan long term, but for keep me moving post-race it seems to be working just fine. So, if you don't hear from me for a while, we are all okay, we've just taken a field trip to the 80's! Because they're giving out free 8oz Icebergs from 3-7pm today. In case you missed 31 cent scoop last night at Baskin-Robbins (we didn't) or simply desire take advantage of every opportunity for cheap/free ice cream to fatten up for the coming swimsuit season (like me). Enjoy! Today is the feast of St. Gianna Beretta Molla. I have a special devotion to St. Gianna and so I thought it appropriate to post the origins of that devotion today. Almost seven years ago, our first daughter, Therese Joy, was diagnosed in utero with a fatal neural tube defect called anencephaly. In the days and weeks following Therese's diagnosis, I literally survived on the prayers of hundreds of friends. Some of these friends I have never met, and others I have had the pleasure of meeting after the birth and death of my daughter. One such woman mailed me a relic of then Blessed Gianna Beretta Molla. This woman wrote me a letter, promised to pray fervently for our intentions, asked me to read St. Gianna's book, and to wear the relic. I don't wear jewlrey (other than my wedding ring), and this relic was huge! Yet after reading Gianna's book, I felt very drawn to her life, and could very much relate to the suffering she must have felt during her last pregnancy. I drew great strength from her story, and began to pray for her intercession. I wore the relic daily for the remainder of my pregnancy. I even wore it during my labor and delivery of Therese. After the birth and death of Therese I prayed fervently for the gift of another baby to love, and this time to keep. All the suffering of my pregnancy, all the pains of labor, were so worth it to hold Therese in my arms--even for just a few hours. I wanted to do it all again, and this time to have a baby to take home. As the weeks and months passed, my grief over losing Therese grew deeper, and my prayers for a child grew more and more desperate. Each cycle brought about new feelings of hopelessness and sadness. I was consumed with doubt that we would ever have another baby, let alone a healthy baby. I grew more and more depressed. I felt sorry for myself, angry at God that my daugther had died, and frustrated that it was taking so long to be blessed with another baby. I felt like I had done everything God asked of me, I even gave him my only daugther. I never once asked God to heal Therese, because I felt very strongly that this was not His will. And yet there I was, feeling totally abandomed and alone. I was self-consumed and full of anxiety. I cried almost every day. I felt totally helpless. Friends announced their pregnancies to me, and every time it was like a knife in my heart. Why were so many women blessed with multiple healthy children, and yet my baby died and I wasn't getting pregnant! I then felt guilty for not rejoicing in their news. What a terrible friend I was! It was a vicious cycle. At just about the lowest point in my grief--and my life--my spiritual director called me out on being self-consumed with my own problems. He challenged me to start thinking of other people and how I could, even in my own grief, serve other women. He assured me that I was not going to get out of my funk and depression if I kept thinking about myself. Right around this same time, I heard the sad news that one of the couples we knew at the law school had just had their adoption fall through. Kristen worked at the law school library, and her husband attended the school with me and my husband. Kristen always greeted me with a big smile when I walked into the library. She and her husband had been struggling with infertilty for years, and doing so in strong Catholic circles where pregnancies are announced on a very regular basis. The news of their failed adoption hit me very hard. I suddenly felt this intense sadness for someone other than myself. I remembered Kristen, who didn't know me very well, crying when she heard the news of our daugther's illness. It was the week after Therese's diagnosis, and Kristen approached me after Mass with tears in her eyes as she told me how sorry she was about Therese. She promised to pray, and I knew she would. That moment in the past was suddenly clear as day, and I found myself crying tears of sorrow for her. I thought, she must feel like me, empty, lost, confused, and hurt. I began to pray for her immediately, and I helped to organize a spiritual bouquet for her. The roses we gave her lived for weeks, and I later discovered that she was very moved by the gesture. Kristen responded to their failed adoption with a novena to St. Gianna. She asked for a baby girl, who she planned to name Gianna. Very shortly thereafter, in miraculous fashion, she received a call that a baby girl had been born and that they were chosen to be the adoptive parents. I never remember feeling such joy at the birth of a friend's baby. Kristen's suffering had been so great, and it was a great blessing to know she had a beautiful baby girl to love and cherish. Ever since the death of Therese, I had to run and hide from the babies of friends and family. Each new child seemed to remind me so poignently of my own loss and suffering. But Kristen's Gianna was an answer to my prayers, and every time I saw her I was reminded that God was indeed good, and that sometimes he does say yes to the intentions of our hearts. Soon afterwards, Kristen informed me of her novena to St. Gianna, and she challenged me to pray the same novena, asking for a healthy baby girl who I would name Gianna. While it took me almost two months to feel ready for another novena, I eventually did as she advised. The next month, I discovered I was pregnant, and nine months later we met our own baby Gianna. And in typical Divine fashion, then Blessed Gianna was canonized just weeks after our Gianna's birth. It was a joyous time indeed! The life of a new baby brought great healing to my very broken heart. While the pain and sadness of losing Therese will always remain a part of who I am, much of the bitterness, anger, and fear disappeared when I heard our Gianna's first cry. Gianna is always a reminder to me that life's greatest joys are indeed accompanied by deep suffering. She reminds me daily of the sweetness of life, and that even amidst suffering, God hears our cries and answers our prayers. You can read Kristen's story here, and do check out her beautiful blog. She is an amazing writer, and just a beautiful person. When I came across her blog I cried tears of joy as I read about her Gianna. Through the intercession of St. Gianna, we both have beautiful young girls to love. May God Bless you all today on this great feast! 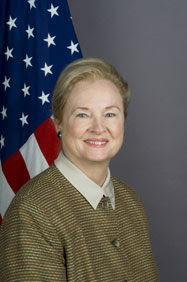 Mary Ann Glendon was the 2009 recipient of Notre Dame's highest honor, the Laetare Medal, which is awarded each year during Commencement. Receiving this honor put her on deck to speak alongside President Obama at Notre Dame's Commencement in May. In the last weeks, amid the firestorm following the selection of Obama as Notre Dame's Commencement speaker and as recipient of an honorary degree, Notre Dame officials have been using Mary Ann Glendon's balancing presence at Commencement to justify giving President Obama this platform and honor. This morning, in a letter to Notre Dame's president Fr. John Jenkins, Dr. Glendon said no thank you to the whole operation. She has lain down this monumental professional achievement to remain true to the U.S. Conference of Catholic Bishops and the Church, and to assure American Catholics that the buck stops somewhere. This is the magnanimity that made her worthy of the Laetare Medal in the first place. Dr. Glendon emanates beauty, dignity and grace, and she is one of the greatest legal minds of our day. How shameful for Notre Dame to lose her among its historic list of Laetare Medal recipients precisely because it has chosen secular approval over faithfulness to the Church. The text of Dr. Glendon's letter to Fr. Jenkins is available at First Things. On Saturday MaryAlice and I attended the CHAPLET Homeschool Conference and had the privilege of meeting Danielle Bean! Danielle flew in from New Hampshire to speak at the conference, and MaryAlice and I acted as her chauffeurs for the weekend. What a blessing to meet Danielle in person. In my earliest days of parenthood, I remember reading Danielle's first book, My Cup of Tea, and feeling very uplifted by her words and perspective. Unlike many other parenting books I had read, Danielle always seemed to focus on the positive side of things, drawing moral lessons from her personal parenting experiences, without being judgmental or preachy. I loved her approach to motherhood instantly, and I have followed her writing and her daily blog ever since. Danielle is truly a mother-encourager extraordinaire. Her talk, How to Handle Burnout, was full of humor, humility, and wisdom, as well as practical tips for excelling in my vocation as a mother, spouse, and friend. Since burnout is something that I have very recently struggled with (remember that awful 1st trimester! ), the doubts I had about mothering a larger family AND homeschooling were still fresh in my mind. After hearing Danielle speak, and being around so many wonderful mothers, I left the conference with a renewed excitement about our plans for this fall. I pulled into the parking lot of Danielle's hotel Saturday morning and I turned too sharply, scraping the side of my minivan into an unforgiving yellow pole. Danielle watched the entire scene unfold, and then helped me back out and avoid further damage to my car. I was quite embarrassed! Danielle is of course so gracious that she assured me of her own driving trials, which I'm sure were grossly exaggerated for my own benefit. Now that my cherubs are getting a bit older and more techno savvy, I'm allowing them greater reign on our family's home iMac. They appear small and defenseless in the shadow of its 18-inch screen. Their eyes stare widely at the images glowing back at them. The computer becomes like God in their little worlds for a brief moment. The boys' most beloved computer activity by far is perusing YouTube and watching Thomas toy train videos made by other children. As long as mom keeps a watchful eye on show choices, this activity generally produces enough benign and interesting bits to keep the boys' interest for hours, though we try not to let it go that long. They are little train voyeurs and enjoy watching other children's train tracks and play best of all. It has been most interesting to watch how these videos have influenced their own track development and storylines. Our M is now a master track builder, using everything from legos to boxes in order to get the right height for his latest track creation. For right now, the computer serves as an incentive for good quiet time behavior. 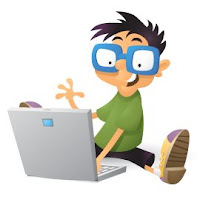 If the boys are well-behaved during their quiet time, they are allowed 30 minutes of computer time following. Each infraction removes 5 minutes from the total. My sister uses the computer to motivate her sons' daily use of manners. "Manners Money" pennies are distributed to them throughout the day, each equivalent to a minute of time to be spent on the computer. How do you manage computer time? Families with multiple older children, how do you divide computer time to allow for all members to have equal share? Also, what parent filters have you found that are worthwhile? While we navigate this important techno force within our homes, let us bind together and share information to keep our children safe and our strategies most effective. I look forward to hearing your ideas! As I was flipping through the local newspaper this morning, I came across a delicious recipe for Shrimp, Corn, and Tomato Stew. I clipped it out of the paper and started reading the recipe to see if I had the necessary ingredients, and was surprised to see that this recipe calls for 1 cup - yes, that's 2 sticks!! - of butter. Now I must confess that I've never made a stew that calls for a rue, but 2 sticks of butter seems like a lot for a recipe that's only supposed to serve 8 people! Does anyone know of a lighter alternative for making a rue that doesn't compromise the taste and texture of the dish? In a large coffee mug stir together 4 T flour, 4 T sugar, and 2 T. cocoa. Add 1 egg and mix thoroughly. Pour in 3 T milk and 2 T oil and mix well. Add a small splash of vanilla extract, and if desired, add 3 T chocolate chips. Mix again. Put your mug in the microwave and cook for 3 minutes at high. The cake will rise over the top of the mug, but don't worry, it shouldn't make a mess :) Allow to cool a little, and tip out onto a plate if desired. You may decide to share this with someone if you're feeling generous! *Note: Both recipes were taken from the Houston Chronicle, 4/22/09. As I titled this post I laughed remembering writing an email to the builders in our pre-blog days titled "avocados and chicken pox" and Red wrote back how disappointed she was when discovered it was not about some obscure link between eating avocados and getting chicken pox. I know Mary Alice has confessed a similar love of Costco's organic peanut butter. My question is this. How does one stir in the oil that separates out from natural peanut butter without making a complete mess?? Is is possible? Every time I open a new jar I approach it with renewed resolve to get it right and not make a mess on my counter and leave a coating of oil all over the outside of the jar. And every time I fail. Miserably. Does anyone have any tricks? If so, please be specific! Despite my tenure in the engineering department of an ivy league university I am perplexed beyond belief!! And also, since we are at the beach this week (this is auto-posting) --this just a friendly reminder from Texas to throw out all your old, expired sunscreen and stock up on new stuff. We have had friends get severely burned because they used expired sunscreen. It still takes me 45 minutes to get the kids in coat/gloves/hats, but I can lather a kid in sunscreen in my sleep! Are we doing permanent damage? I've been teaching my 5-yr old daughter about money. First was pennies, then dimes. Yesterday, we moved on to nickels, which of course bear the image of our third President, Thomas Jefferson. But when I showed the nickel to my daughter, she surprised me with this comment: "Mama, is that William Wallace on the nickel?" I blame my husband and his infamous Braveheart monologues. For those concerned, don't worry - we haven't actually allowed the kids to watch the movie, only the freedom speech. My parents came to visit us for Easter weekend, and it was truly a joy to celebrate Easter with them. My kids are always excited to see "Oma" and "Opa," and I love the company and the conversations that we get to have when we're under one roof for a couple of days. One of the best parts of the weekend, however, came after my parents had left and arrived back at home. My mom called to say that they had arrived safely, and then she gave me a great gift: she affirmed me as a mother by telling me how proud she was to be my children's grandmother. She said that C is a sweet boy who said the nicest things to her - "Oma, I love you," "Oma, thanks for playing with me," "Oma, I'm so glad that you're here" - and that Maria is a curious, fun-loving little girl who loves to give (and receive!) hugs and kisses. And then my mother told me that she is proud of me for spending so much time with my children, and that it shows because my children are joyful and feel secure in their world. I really appreciated that affirmation, and it meant a lot coming from my mother. It is always a great gift when others make positive comments about our children, because it lets us know that the seeds that we have planted in our children are, in fact, blooming, and that we are on the right track as parents. And it meant a lot coming from my mother, who knows me so well and has loved me for my whole life. My parents spent a lot of time and resources on my education, and for most of my life I moved from one tangible achievement to another. There were tests to be studied for, plays to audition for, races to run, and recitals to perform in. There were applications to be submitted, jobs to apply for, and events to plan. Once I finished graduate school, life slowed down a bit. I prepared for the birth of our second child and for a cross-country move, and decided that I would step out of the world of education and paid-work and into the world of home-making. I have appreciated the focused time that I have been able to spend working on my skills as a mother and as the primary person who takes care of our home. I have had to learn how to clean a house well, which type of schedules work for me and which don't, how to make guests feel welcome and comfortable in our home, and how to fix things when they break. I have tried to be creative in how I spend time with my children, and strive to work hard during the week so that weekends can be real family time. All of this is hard work; it is not paid work, but it is fulfilling, invigorating, and exciting work nonetheless. I am thankful for the opportunity to be home with my children, and I am grateful for all of those who have affirmed me along the way! Mary, Mother of us all, pray for us! Let us all dedicate some prayer time in the upcoming week to the doubting Thomases we have in our own lives. Immediate family, extended family, close friends -- we all know and love those who struggle to believe what they cannot see. 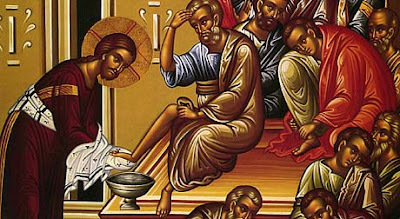 My humble prayer will be: "Lord, please let me, even in my wounded imperfect state - as you were when you appeared to the twelve after your Resurrection-, serve as an inspiration of faith to those for whom I care most deeply. Please offer them your peace even though they do not yet see you." This is hysterical. A marshmallow willpower test. The Columbia University studies, now known in collegiate circles as the "Marshmallow Tests," sought to find a common element among the children who could resist giving into the most primal test of willpower—a sweet treat, left on a table for them, with (supposedly) nobody watching. The tykes were told that they could have two of the marshmallows or cookies if they waited until the researcher came back in the room. Many of them, naturally, gave out within minutes, or even seconds, but some waited as long as 20 minutes until the adult returned. I have no idea what my kids would do. Charlie has been sneaking Easter Candy since Easter Sunday. He hasn't yet figured out that the chocolate dripping down his face and his now empty Easter basket are huge clues that he has disobeyed mom's orders. I bet he would fail the test within seconds. Gianna is so obedient, I have a little more faith in her. She does have a HUGE sweet tooth, which could ultimately lead to her downfall. I'm guessing she might have the will-power if she respected the "researcher" or adult who told her to wait. Apparently, in the study, the kids who showed will-power and resisted the tempting marshmallows used two techniques--distraction and different thinking. The other technique involved re-focusing the mind on the long-term implications of the short-term indulgence. I'm not sure how they measured this, but a child who fears disappointing an authority figure would probably fall into this category. I'm really curious as to how my children would do at this study. I'm also curious as to how B-Mama would perform. I've seen her with sweets, and it is a frightening sight! (1) Like most everyone, I gave up sweets. All of them but extra-dark chocolate, that is. When we were all discussing this Lenten fast (and exception) on a Saturday night in Lent while enjoying Red’s daughter’s birthday cake, Mr. MaryAlice nodded, unsurprised, with complete understanding and deep wisdom as he said: “depriving a mother of dark chocolate is like depriving a diabetic of insulin.” Even a stranger could tell from this statement alone that Mr. MaryAlice is a seasoned father of six young children who loves his wonderful wife very much. (2) Alleluia is a word unlike any other. The only thing that could have set my soul more ablaze with Easter joy than hearing Alleluia after these weeks was seeing Bella’s countenance light up as she heard the same first Easter Alleluia. Alleluia! (3) What should fasting look like for a mother? I need to revamp my approach here, because this Good Friday, by evening, it looked like a sullen, grumpy heap of fried mother and ungenerous hostess. Before motherhood, the discomfort of hunger was a good discomfort that drew me into deeper contemplation of and union with Christ’s suffering. Now, I get so low on energy that resentment starts to creep in and derail any chance I may have had at contemplation in the midst of this active life. (4) Easter egg hunts are still thrilling, not just vicariously through my children but even for me as an adult. Is it the springtime cheerfulness of brightly colored eggs scattered in fresh green grass? Is the knowledge of candy within? Or is it the voraciously competitive spirit ready to be unleashed at any opportunity? (5) If only Mass was standing-room-only every Sunday as it is on Easter Sunday. (6) Kat, the Resurrection Roll activity/recipe that you posted here totally stole the show on Holy Saturday. My kids thought it was amazing, and Bean is still begging for more “Jesus graveyards” (don’t worry, he got the point, even if not the name). I wonder how these would work with our leftover Peeps. (7) Does microwaving Peeps ever lose its appeal? I am re-reading Graced and Gifted by Kimberly Hahn, and I highly recommend it to all of our readers. Kimberly writes like a big sister who gently guides you in what you need to know, humbly sharing what she has learned through experience. The introduction, which could stand alone as an article and which I plan to use with my mothers' group, explains the Five "P"s of the motherly vocation that Holly Pierlot introduced as part of the Mother's Rule of Life. These priorities -- prayer, person, partner, parent and provider in that order -- help a mother to get her bearings and create her plan. This concept was, to me, the best part of Holly's book, and Kimberly explains them beautifully and helps us to fit them into a life that feels more familiar to me than Holly's jump from total chaos to total structure. If, like me, you have read A Mother's Rule of Life and walked away inspired but totally confused and overwhelmed, you may find this book more helpful. In the rest of the book, Kimberly leads us through a bible study of one of B-Mama's favorites, the Proverbs 31 woman, and uses anecdotes and advice to help mothers try to be like this woman. In each chapter she also explains one of the Catholic Church's seven sacraments. I have to state that the connections are a bit forced in some places, but still the explanations of the sacraments are a useful reference and reminder, helpful in apostolate to non-Catholic christians and also as we teach our own children. Please note, you do not have to read A Mother's Rule of Life before reading this book, it stands alone and in fact is more helpful, in my opinion. Kimberly also has a bible study tape series on the subject of A Mother's Rule of Life, and which is more closely connected to that book. Graced and Gifted by Kimberly Hahn is available from Catholic Company. A young mother ventures out with brood in tow in the hopes of getting her oldest to preschool on time. They are already running 15 minutes late and pull into the parking lot amidst a downpour. She thankfully has packed the golf-size umbrella. No sooner do they pull into a parking space, but she quickly realizes that some serious strategizing will have to take place in order to get all three young children, herself, mongo umbrella, and mom purse into the preschool in a timely and dry fashion. A) decides to ditch the stroller and go for the baby Bjorn, crawling over child #2, and muscling sweet infant into the carrier while huddling within the minivan to avoid the rain. She manages to unlatch the older boys and all process into preschool with mom's one hand on the umbrella and the other holding child #2, who is holding onto child #1. Whew! B) decides to ditch the stroller and make a run for it with all the children. She props the infant on her hip, holds the umbrella with the same hand, and hopes for the best while grabbing both older boys' hands and making the dash inside. The two on the outside become unfortunately wet as they are the furthest from the center of the umbrella. Oh well! C) opts for the stroller (who's on time anyway?) and requires child #1 to push it while holding child #2's hand and preventing both stroller and children from dashing in any inadvertant directions, thus threatening their precious lives. Lord, help us! D) says to heck with Virginia State Law and leaves her car idling at the drop-off doors with the two youngest inside only to dash in with child #1 and get him there in the nick of time! Yes! The bottomline, if we had only been on time we would have been the picture of optimization and organization. Oh, if only! You can find what adventure we chose in the comments... and I can promise you, the answer is not E!!!! God bless! On a rainy day, new paint, paper, and brushes are a real treat. 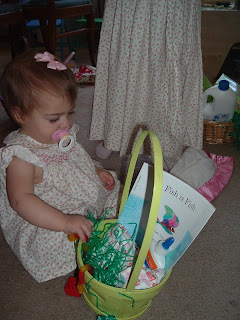 The brushes and paints fit nicely in the Easter baskets and were a great and inexpensive alternative to candy. Don't worry, we did buy candy, but much less of it thanks to the paints. And just because I couldn't resist, below is a shot of our kids at Easter Sunday Mass. And as an aside, the weather is expected to be in the 70's this weekend, and I am officially over my 1st trimester trials. I'm ravenously hungry, and I officially gained 5 pounds in just 2 days. The flowers are blooming and so am I! MaryAlice's timely post has inspired me to start a daily walking routine and keep fit during my pregnancy. So, I suggested some possible shapes, and Peter chose these. We bought felt and I sketched them using chalk on the felt. After looking for templates online I just decided to do it freehand. He cut them out, decided where to put them and glued them on. The Rel. Ed office will add a dowel at the top and ribbons, and this will adorn our pew for the Mass. I did give him the option of adding some glitter glue adornment and I was delighted that he chose not to. He added the cross in pencil to the host, and told me that a host is not sparkly. Good point. I managed to walk the tightrope between his and my perfectionism, and because we kept it really simple we have a nice end product. He is really proud and excited to be preparing to recieve the sacrament. Also, we sat alone in the school room and did this, which was really nice time together, and isn't that the point of family crafts, after all. On Saturday I ran more miles than I have children, which is a lot! In a cold driving rain my brothers, husband and I ran a 10k road race in Central Park. The race was a part of Scotland Week in New York City, which was pretty funny because 1 -- none of us are Scottish and 2 -- there were runners in kilts. My husband held back and ran with me, and without him I would surely have quit, he is my coach in more ways than one, there were times during the race where it was eerily similar to being in labor, same misery, same dispair of finishing, same encouragement and bad jokes! In the end, though, it was a wonderful experience, I sprinted to make my goal time at the finish, and I would do it again. All of the runners on this blog have been a tremendous inspiration for me, and I am so thankful for the addition of running to my life. Here we are, back at my mother's house, where we got to enjoy hot showers and yummy pizza. The next morning we celebrated the Resurrection by attending mass with my grandmother (so special) and indulging in an extravagant brunch with my family. The only thing missing from our Easter was a lamb shaped coconut cake, but I have decided tonight that since Easter lasts for many weeks I am going to keep celebrating Easter throughout the liturgical season by baking every weekend, which will mean I have to keep up those long runs! we wish you and your families a blessed Easter Triduum! In order to celebrate most reverently with those we love most, the builders are going to take blog pause for a few days, resuming again at the start of the Easter Season. We hope you enjoy a most holy Easter! God bless! Here is a recipe for "Resurrection Rolls" that I found here. I think that I will make these on Holy Saturday with the children (and bake them on Easter morning), in addition to dying Easter eggs. We always struggle with finding the balance of activities with our children on Holy Saturday - it is such an in-between day, as it well should be! Good Friday has come and gone, and Saturday is a day of waiting for Jesus' Resurrection. We will be skipping the Easter egg hunts that are going on all around us, and will instead enjoy some activities at home that will help prepare us for Easter. Enjoy! Give each child one triangle-shaped crescent roll section. This represents the tomb. Each child takes one marshmallow, which represents the body of Christ. Lay the marshmallow on the dough and carefully wrap it around the marshmallow. Make sure to pinch all seams well so that the marshmallow does not ooze out. Break open the tomb and the body of Christ is no longer there! Celebrate God's love! As I should do every day. Many of you were praying, and for that I want to say thank you. We had our ultrasound this morning, and I was overwhelmed by how many of your prayers were answered. Ever since the birth and death of our daughter Therese, ultrasounds have been an incredibly stress-filled experience for me. I still vividly remember the day Therese was diagnosed with anencephaly. June 18th, 2002 changed our lives forever. The dim lights and hum of the ultrasound machine always bring me back to that day, the terrible news, the feelings of desperation, hopelessness, and the unending tears. But today was different. We arrived at the hospital and were greeted by a wonderful ultrasound tech, the mother of a friend from high school. She knew about Therese, and she knew me. It was a joyful surprise, and I was immediately aware that God was present and taking care of us today. To some this would be a coincidence, but to me, it was clearly an answer to prayer. As soon as the scan began, we saw a nice beautiful round head (pictured above). I began to cry. The tech immediately said, "see that nice round head, this baby does not have anencephaly." I grabbed Mr. Red's hand and relaxed. My baby looked beautiful. He or she was moving around and otherwise looking very normal for a 14 week baby. The tech carefully pointed out each thing she was looking for, and was full of assurances that our baby looked great. It is obviously still very early, and we will head back for a full anatomy scan at 20 weeks (where they will scan for another neural tube defect called spina bifida). But as of today, all is well. She then scanned for the cyst that has been causing me so many problems this pregnancy. The cyst shrank considerably, and is now 1/2 the size it was just 1 month ago. This is fabulous news, as I will now avoid having surgery during the pregnancy. Today was a day of answered prayers. A day when God said yes to the wishes of my heart. And for that I am VERY thankful. I am also keenly aware that it was not just my prayers he was hearing. Thank you all for your prayer for me and for our baby. --And as a funny aside, I have a history of HUGE babies, and our baby was already measuring almost 1 week ahead in growth! Not bad considering I have eaten much in the past 2 months. In order to get the four year old twins participating in some school work that will also interest the older children, I have been doing a picture book of the week accompanied by a drawing activity. This week, we are reading The Easter Story by Brian Wildsmith. This story is a beautifully illustrated retelling of the Passion and uses the perspective of the donkey Jesus rides into Jerusalem. I like the donkey "angle" because we use our donkey figure when we talk about the Nativity as well, the donkey who carries Mary to Bethlehem. I have heard it said that when St. Josemaria Escriva would meditate on a gospel passage he would often picture himself as a humble donkey watching nearby, or working and helping the Holy Family. To accompany the book, I found these instructions on how to draw a donkey, and we have been practicing this morning. I think I will continue to use this website for other book related drawing times. I really like the simple step by step approach, and later in the week we can try to draw donkeys from memory, to see what we have learned. If you eat brown organic eggs, this is just a friendly reminder (mostly to myself) to BUY WHITE EGGS if you plan to dye some for Easter. I forgot last year. Recently I was refilling hand soap pumps around our apartment from one of those large refill jugs. Then, several days later, I actually wrote "ground cinnamon" on my shopping list. I can see how these two details might not catch the attention of a typical wife/mother, but to me they almost brought tears to my eyes. You see, as an Army family, we have moved so much in the past 18 months that I have never reached the end of a hand soap pump. Instead, moving day would arrive and we would have to toss a 1/3-full one and then buy a new one at the next place. Spices -forget it! I love my spices, but moving men are insistent that they won't pack anything open or perishable - so the amount of cardamom and ground cloves I have sprinkled in dumpsters across the continental US is rather sad. But here we are - I got to use all of my own cinnamon! Nearly seven months in beautiful Germany and we are finally feeling established (it is all relative). My 14-month-old son is in a real crib and we actually have a land line for the first time since we have been married. It feels good. As we settle in for Holy Week and I pull old craft projects down off of our kitchen cork tiles to replace them with paper palms and cloak-draped crosses it feels peaceful. I feel great joy for my children and husband that the Army has granted us a few years to make our house a home. Though I suspect there is still some sort of subconscious adrenaline-junkie lurking inside of us, because we haven't accepted this new sense of calm whole-heartedly. Now that things are finally settling into place around here, we have found out that we will be welcoming an AWOL newborn in late October! Nonetheless, what a nice feeling to be able to welcome this new baby into a home he will grow in and learn to love, rather than cradling a 3-day old while the packers tape boxes around us. Thank you, God. A blessed holy week to all. QUIZ QUESTION: Which one is the greatest menace behind the wheel? 5) Me, behind the wheel of a Camry, with Angelina screaming loudly enough to shatter the windshield (she strongly dislikes car rides), Bean incessantly requesting fresh-squeezed orange juice, Bella insisting that I talk like Peter Pan while she pretends to be Wendy Darling, and our slightly-too-peppy Fisher Price Car Songs CD in the background. The correct answer is (5). I won't describe the three "thank you guardian angels" near-incidents that I've created in the past two months. Suffice it to say we're basically entirely pedestrian these days (thanks to the great, walkable village where we live) until I get the situation under control. 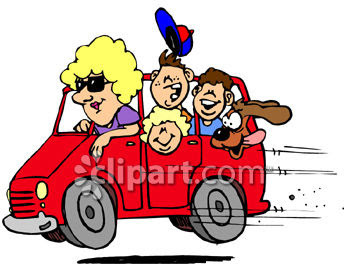 Do you have any suggestions on car rules/guidelines for lively little passengers and ways to enforce rules while driving? Or should we go ahead and install an automated sound-proof window that separates the front seat from the rest of the vehicle in our Toyota limousine? Yesterday marked the 4th anniversary of Pope J.P. 2's passing, I know I am a day late, but I didn't want anyone to miss this excellent piece in First Things. What a man, what a mind, what an inspiration. Baby J, you light up our world. Your sweetness is palpable. Your ever-present smile is a reminder to me of God's love for his children. You ride around on my hip with delight, taking in your world and growing each day. You soften your boisterous brothers. You humble your daddy and me that we are lucky enough to be your parents. You are living proof that every new life is always a blessing. God bless you, sweet boy. Spring is well underway in Texas and our family has spent the last several weekends up to our knees and elbows in dirt. Gardening is such a beautiful way to introduce your children to the wonder and beauty of nature. One of my earliest memories is from kindergarten. I can remember what my classroom looked like only because it was the back drop to my little styrofoam cup with a seed in it. We watered our seeds every day and watched in wonder as they sprouted and pushed their way through the loose soil to show us their green heads. We compared them everyday to see whose was growing the most. We tended them with care, learning responsibility for taking care of something that was depending on us for its life. I am the first to confess that I know very little about gardening. Where we live, we don't even have soil, we have clay. If I ever decide to take up pottery, I will have to look no further than my back door for the raw materials, but our ground is no friend to gardening. So I have been reading books and attended a lecture by our local garden club. Generally, I am a believer in "it's the process, not the product", but it helps to have the right organic material (compost) to make something grow. But if you've got good soil, water and sun, you should be set. Some books to get started: Square Foot Gardening by Mel Bartholomew and (especially for Texans) anything by Howard Garrett. See if you have a local gardening club. There are usually experienced gardeners in the area who are thrilled to give a gardening novice some pointers. Check you library for books and programs. There are tons and tons of books on gardening with kids. Check some out from your library to get ideas. One of my favorites is Roots, Shoots, Buckets and Boots. Consider what is feasiable. At our old home, we did not have a big yard, but I dedicated a 5x5 block of space and we constructed an inexpensive raised bed to grow herbs and tomatoes. Even if you are in an apartment with no yard, there are many herbs and plants that you can grow indoors. A friend mentioned that Costco had tomato plants in containers last week (they may not be available in the northeast yet). Perfect for a porch or patio. And if space and budget are absolutely prohibitive, a stryofoam cups and a 50 cent pack of seeds are still enough to captivate. Wonder with your child. Drop whatever you are doing when you hear the first shouts of, "Mommy, Look! Something's growing!" and share the moment with your child. Let your child tell you what he sees. I have much more to say about this subject, but it will have to wait for another time. I could to a whole post on gardening/planting books for kids. So many great ones! How Groundhog's Garden Grew is a good one to illustrate the gardening process. And, of course, anything by Beatrix Potter.